Home » Oppo » Oppo Find X Advantages, Disadvantages, Review – Very Innovative !! Oppo Find X Advantages, Disadvantages, Review – Very Innovative !! 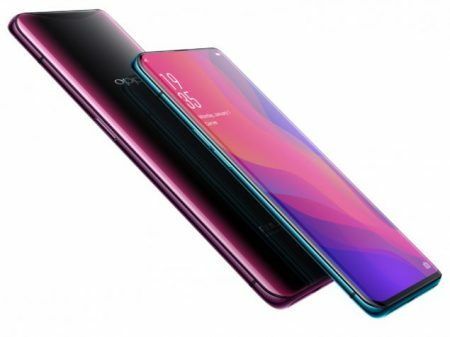 Oppo Find X high-end smartphone launched into the market. 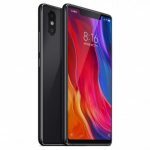 It offers a full-screen display with zero bezels at all corners and for Selfie camera, a motorized popup camera will appear each time when we open the camera. So, check out OPPO Find X advantages (Pros), disadvantages (Cons), problems and drawbacks/defects before purchasing. Currently, it is available on online shopping sites like Flipkart, Amazon to buy. OPPO Find X comes with the latest Android OS, v8.1(Oreo). It offers 6.42-inches AMOLED capacitive touchscreen with a good screen-to-body ratio of 87% and Multitouch in it. Its display has superb pixel density for its full HD resolution(~401 PPI) with 19.5:9 aspect ratio. The device is very Heavy to carry with 186 g and 9.4 mm in thickness. It supports Dual SIM (Nano-SIM), dual stand-by. OPPO Find X has equipped with powerful Qualcomm Snapdragon 845 Chipset and the Performance is very smooth with no lags. It encompasses with Octa-core (4×2.8 GHz Kryo 385 Gold & 4×1.7 GHz Kryo 385 Silver)processor and Adreno 630 GPU. So gaming performance is stunning. Brings an internal memory of 128/256GB and memory card expansion not supported. It offers Dual 16 MP ( f/2.0, 1/2.6″, 1.22µm, PDAF, OIS) + 20 MP (f/2.0, 1/2.8″, 1.0µm) with additional features like LED flash, HDR, panorama. It offers a Pop-up 25 MP front-facing camera with additional features like f/2.0, Auto HDR. Supports quad HD video recording at 2160p@30fps, 1080p@240fps, 720p@480fps. It has the battery capacity of Non-removable Li-Ion 3730 mAh battery – Standard model and 3400 mAh battery for Super Flash Edition and it is good for heavy usage. Supports VOOC Flash Charge 5V/4A 20W – Standard model and SuperVOOC Flash Charge 5V/10A 50W (100% in 35 min ) – Super Flash Edition. Supports almost all connectives like Wi-Fi, Bluetooth, USB Type C, 3G, 4G, NFC. Supports sensors like Face ID, accelerometer, gyro, proximity, compass. It offers great loudspeakers with Voice 70dB / Noise 75dB / Ring 81dB. It is available in New Bordeaux Red, Glacier Blue to choose. Other Display Features Multi-Touch, Corning Gorilla Glass 5. OPPO Find X smartphone comes with an innovative bezel-less display with good features, but there are many cons and misses some important features which we expect at the 60k price. We suggest checking other mobiles also before purchasing this smartphone. 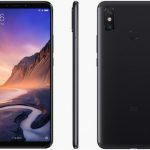 Xiaomi Mi Max 3 Advantages, Disadvantages, Review - Mini Tablet ! !